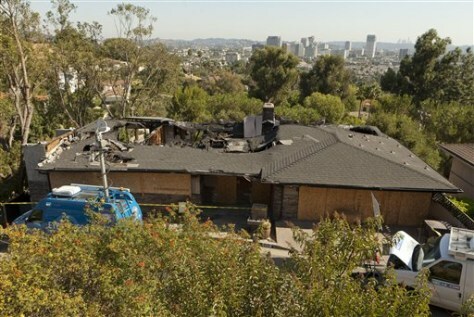 A pack of coyotes has moved into this burned-out Southern California house in Glendale, Calif. The northern Glendale home has been abandoned since it was gutted by a fire last November. Two adults and several pups are believed to be living there.